featuring some of the top Zumba Instructors in the area!! 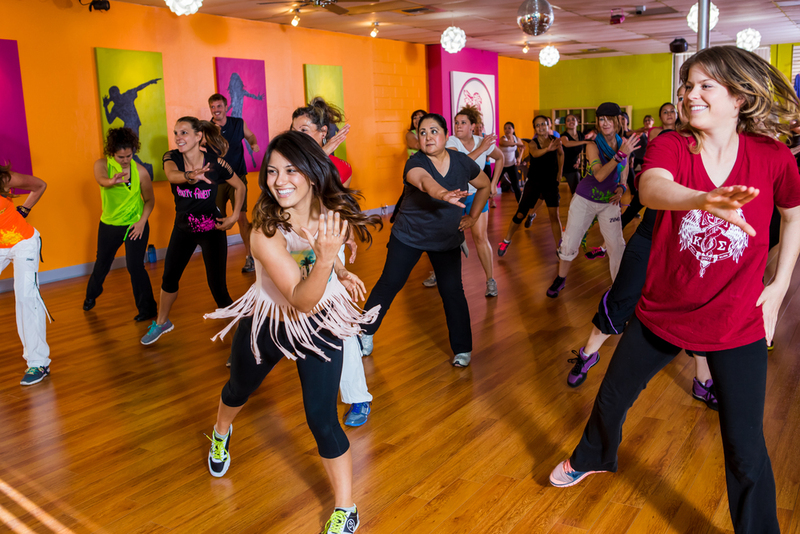 ZUMBA is the new and exciting fitness class sweeping across the country! It combines a high-energy cardiovascular workout with pulsating Latin music into a fun, calorie burning experience. It incorporates many dance styles including merengue, salsa, chacha, mambo, cumbia, reggaeton, belly dancing, flamenco and more. The best part about Zumba though is that no experience is necessary to join in the fun. anyone can do it! People of all ages, fitness levels, and dancing abilities can have a blast while getting a good workout at their own level. ZUMBA® - Zumba Fitness is a dance inspired fitness program that features exotic rhythms set to high-energy Latin and international beats. There’s no other fitness class like a Zumba Fitness Party. Incorporating a wide variety of dance styles from around the world for a truly unique workout. It’s easy to do, effective and totally exhilarating, often building a deep-rooted community among returning students. CARDIO/TONING - Come and have fun while using some weights. This program features cardio routines set to high-energy moves and international beats. There’s no excuses... this class will make you burn tons of calories. Alert ...Intense but fun class! FULL BODY This a brand new format from Peru! Get ready for a 45min high energy fitness format. this class will make you burn tons of calories while dancing and using the steps (Optional) We provide the steps but it is not a step class. Get ready to try something very different, intense and fun! BANG We are very excited to be the 2nd place in San Diego to offer this new format! BANG is an urban-inspired mixed fitness class using specially designed "optional" weighted gloves. A fusion of boxing, aerobics, intervals, hip hop, world dance, and body weight training - this class will take your workout to a whole new "banging" level! Let the music inspire you, the simple to follow routines move you and the experience leave you feeling on top of the world! BODY XTREME Lets just take Cardio/Dance with weights to the extreme!